Historically, League of Legends has tried all sorts of sticks to beat its grumpy community into being nice. The Tribunal system stands as one of the more effective ways to harness the righteous indignation of your community by having them crowdsource punishment in return for in game currency. Even then, they’ve still got a problem. So they’re trying a carrot: by rewarding nice players, rather than just punishing the bad. Today, Riot are introducing the ‘Honor’ system, a way to commend pleasant players from within the game. 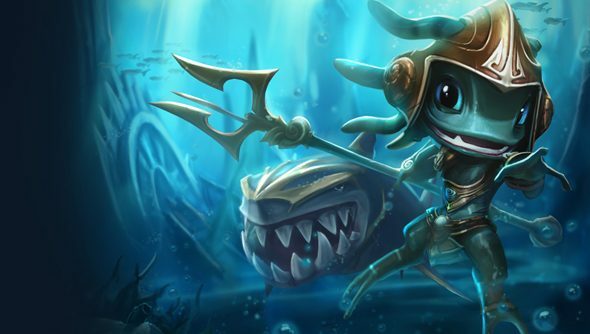 There aren’t many details just yet beyond a forum post on the League of Legends site, but Lyte, one of Riot’s game designers, states “through Honor you’ll be able to give something lasting back to those players who went out of their way to make your game experience better.” Which does make it sound like there’ll be some reward for players who are rewarded. IP boosts or permanent badges come to mind. Such a system has worked well in Dota 2, where Valve give everyone the option of recommending players on any one of Leadership, Friendliness, Forgiving or Teaching skills, and then uses those to sort the nice players from the bad, having each play with themselves respectively, so the more acerbic and unpleasant you are, the more acerbic and unpleasant your company in the game. League of Legend’s new system should be available to test in the next PBE update, for implementation in an imminent patch.